Paris (AFP) - More than 100 people were killed in a mass hostage-taking at a Paris concert hall Friday and many more were feared dead in a series of bombings and shootings, as France declared a national state of emergency. Police said around 100 people were killed at the Bataclan music venue in eastern Paris alone, with reports saying armed attackers shot dead people attending a rock concert one by one before police stormed the building. One witness said an attacker had earlier yelled "Allahu akbar" ("God is greatest") and fired into the crowd at the concert given by US rock band Eagles of Death Metal. It was one of a series of attacks at seven locations across Paris in an unprecedented night of carnage in the French capital that is still recovering from jihadist attacks in January. The Bataclan lies just 200 metres (yards) from the former offices of the Charlie Hebdo magazine which was one of the targets of those attacks. 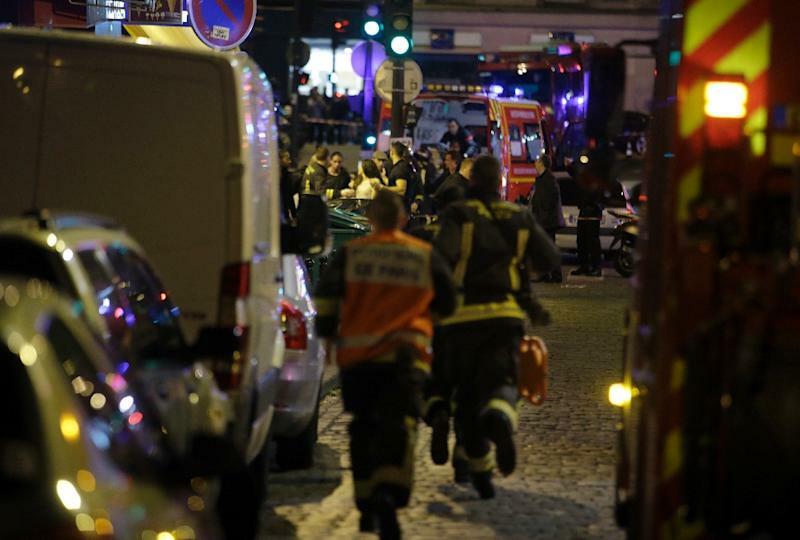 It quickly became clear that Friday's attacks would be much bloodier. In addition to the carnage at the concert hall, at least five people were also killed in three explosions near the Stade de France national stadium in the north of the capital where France were playing Germany in an international football match, security sources said. One of the explosions was caused by a suicide bomber, witnesses said. A Cambodian restaurant near the concert hall was also attacked, with further deaths reported. "Terrorist attacks of an unprecedented level are underway across the Paris region," Hollande said in an emotional televised message. "It's a horror," he said. Hollande declared a state of emergency across the entire country and cancelled his trip to the G20 summit due to take place in Turkey at the weekend. The focus of the attacks was the Bataclan. Armed police eventually stormed the venue at around 2335 GMT, accompanied by a series of explosions. Police said around 100 were dead. 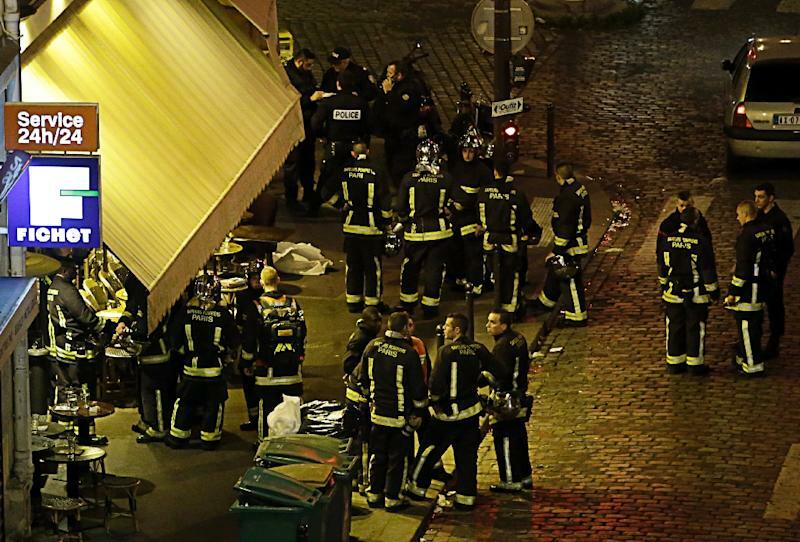 "I saw 20 to 25 bodies lying on the floor and people were very badly injured, gunshot wounds," Julien Pierce, a witness at the Bataclan, told Europe 1 radio. "Some of them were dead. Some of them were very badly wounded, but it was a bloodbath." The military had been mobilised to reinforce police and ensure no further attacks took place, he said. Counter-terrorism prosecutors said they had opened a preliminary investigation. At the Stade de France, spectators flooded the pitch as news of the attacks spread before organisers started an evacuation. 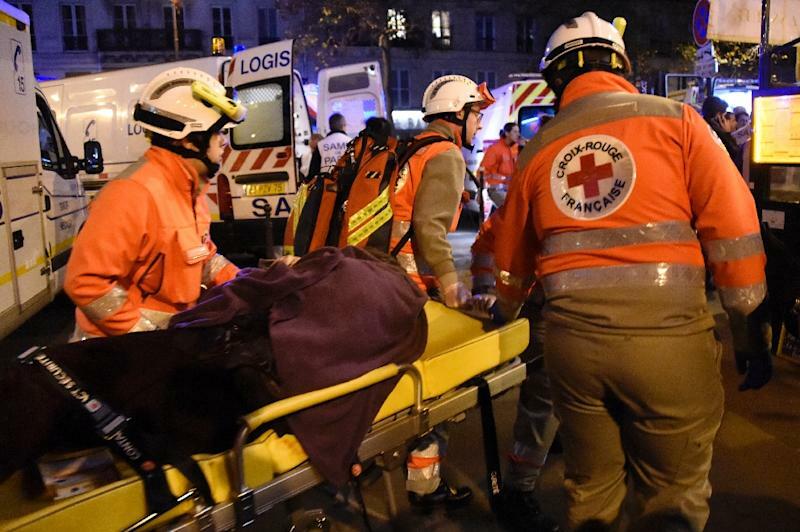 The mayor of Paris, Anne Hidalgo, called for residents to stay at home. "We heard gunfire, 30 seconds of fire, it was interminable, we thought it was fireworks," said Pierre Montfort, who lives near rue Bichat, where the Cambodian restaurant is located. "Everyone was on the floor, no one moved," said another eyewitness who had been at the Petit Cambodge restaurant. The toll "will be much heavier" than the initial confirmed deaths, a security source said. Camille, 25, said: "My sister is in the Bataclan. I phoned her. She said they opened fire. And then she hung up." An AFP reporter outside the Bataclan said before the police stormed the venue, hundreds of officers carrying machine-guns were keeping guard and more than 20 police wagons with their lights flashing were at the scene. German Chancellor Angela Merkel and European Union chief Jean-Claude Juncker said they were "deeply shocked" by the attacks. Several other attacks have been foiled through the year. Security had begun to be stepped up ahead of key UN climate talks to be held in just outside the French capital from November 30, with border checks restored from Friday. More than 500 French fighters are thought to be with Islamic State in Syria and Iraq, according to official figures, while 250 have returned and some 750 expressed a desire to go there.